Auto Enrolment has now been underway for several years, and while the project is nearing the end we are not there yet. There are also some changes on the horizon, so we want to make sure you are aware of what is coming, and also take the opportunity to remind you of some important responsibilities you have. Remember, you must assess your employees every payroll period. Even if they were not eligible to join the pension scheme at your staging date their circumstances may have changed. They might now be old enough to be enrolled, or their salary may have increased. So don’t think that just because you’ve done it once that everything is in hand. Approximately three years after your staging date you will need to re-enrol all your staff. Employees will have to opt out again if they don’t want to join the pension scheme. You’ll also need to complete a new declaration of compliance when this has been done. Currently the minimum contribution rate for an Auto Enrolment pension scheme is 2% of the employee’s salary. On many of the schemes we deal with this is split so the employer pays 1%, which they must do as a minimum, and the employee also pays 1%. Some employers choose to pay the full 2%, but this is not required by law. These minimum contributions will change on 6 April 2018 and 6 April 2019. The table below shows what these new rates will be. We get a lot of requests from employers about how to help staff opt out of the scheme. This is generally a very straightforward process, but it can present a danger for an employer, as employers must not encourage their staff to opt out. You should take care to refer employees to the pension provider instead of handling this yourself so you are not seen to encourage opt outs in any way. Many of you will already have a close relationship with the person responsible for your staff payroll. You might even be doing this important job yourself. However, you may only be responsible for the scheme administration and someone else handles your payroll. This can lead to situations where, for example, a scheme member increases their contributions, but this information is not passed on to the payroll. You should make sure that you have clear two-way communication to ensure that all parties are aware of changes to membership, opt outs, contributions etc. Auto Enrolment is still a relatively new piece of legislation, and the exercise to enrol all UK employees into a pension scheme is not due to be completed until the end of 2018. Some changes to the existing rules around contribution rates have already been discussed and we have no idea how future governments might change the legislation. This information is based on our understanding of the rules today, but these rules might change in future. If there is anything you are not clear on, we can help. You can call our Auto Enrolment specialist, Clive Lotherington, on 020 8559 2111, or email us at ae@bbifp.com. We don’t just do Auto Enrolment. 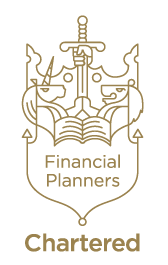 BBi Financial Planning is a Chartered firm of financial planners and we can provide expert advice on all aspects of pensions, investments and life assurance for individuals. We can also help you with a range of staff benefits to compliment your auto enrolment pension scheme, and provide specialist solutions for directors and company owners.